PAX East has come and gone, and the SJ Games team is back home . . . exhausted, but overwhelmingly happy about how awesome the con was. 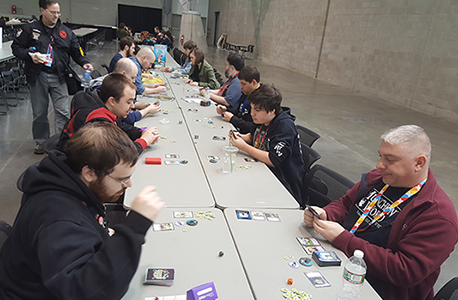 The convention was a huge success, with a metric ton of Munchkin Collectible Card Game demos, lots of brand new players, packed events, and our first Munchkin CCG constructed tournament! 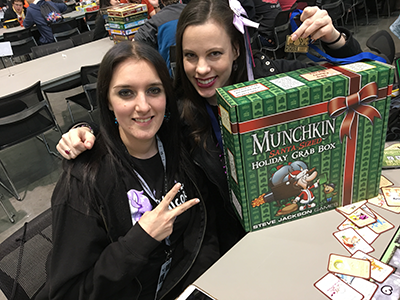 Elf Thief took the top spot, and won a ton of swag, including a lot of our Day of Wreckoning event prizes and an entire box of boosters. Everyone walked away with great promos! 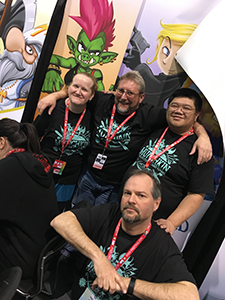 Plus, some lucky convention attendees found signed Munchkin CCG cards in our card machine. We sold out quickly this time, so we'll try to bring more cards to the next convention with the card machine! 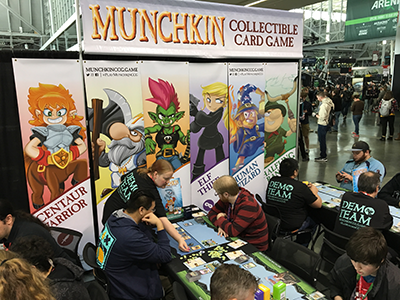 The Munchcathlon was loaded with some of the world's best munchkins battling it out for highly sought-after loot. We even had a simultaneous victory, so two legends walked away with their own treasure trove, luminaries for life! 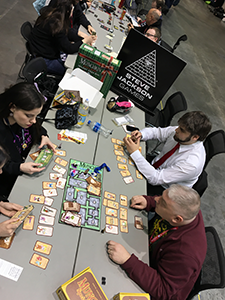 Huge thanks go out to our northeast MIB team of Matt, Bill, Neal, and Jess, who rocked demoing the Munchkin CCG at the booth. And thanks to all the fans who came up, said hi, bought some cards, or shared pictures. You're the ones who make conventions worth going to! 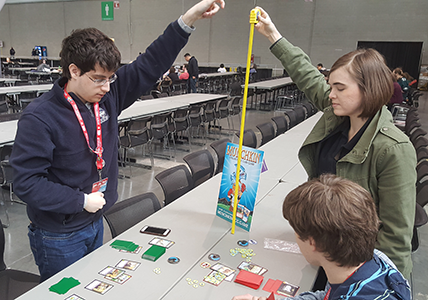 Next show on the docket: UK Games Expo!